Lardy Cake, also known as Lardy Bread, Lardy John and Dough Cake, is a traditional rich, spiced form of bread. Now I always thought that this was popular ‘ooop North’, but apparently this is not correct, as it early recipes were found in several southern counties, with each (naturally) claiming the original recipe. It remains a popular weekend tea cake in counties such as West Susses, Hampshire, Berkshire, Wiltshire and Dorset, with little evidence of popularity in either Essex or Kent. Apparently, Northumberland lardy cakes are made with milk and currants, while Hampshire lardy cakes have no fruit at all. I’ve heard of Wiltshire lardy cake made with various combinations of dried fruit and spices. Call it what you will, you can be sure of two things: plenty of lard but no cake. Lardy cake is a bread. 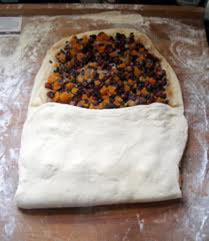 Paul Hollywood says “Dried fruit is dotted generously throughout the dough, so that you eat some with every mouthful. The high fat content enriches the dough and stops it from drying out as quickly as ordinary breads.” In our house, we have recently discovered 300g packs of ‘Alesto Cranberry & Raisin Mix’ from Lidl, which are AB FAB! Lardy Cake can be eaten at any time of day as a snack, but it is most commonly eaten in the afternoon with tea or coffee. It is very rich and sweet and eaten traditionally on special occasions, high days, holidays but especially harvest time and other festivals. However, in our house the bake does not last much longer than 24 hours after they come out of the oven. Like so many British classics, this recipe is so ‘morish’. Add the sifted flour, 20g of the lard and salt and mix 6 seconds / Speed 6. Knead on dough setting 2 minutes. Place into a clean, lightly oiled bowl, cover with a plastic bag, cling-film or a clean tea towel and leave to rise until doubled in size. This may take around 3 to 4 hours. 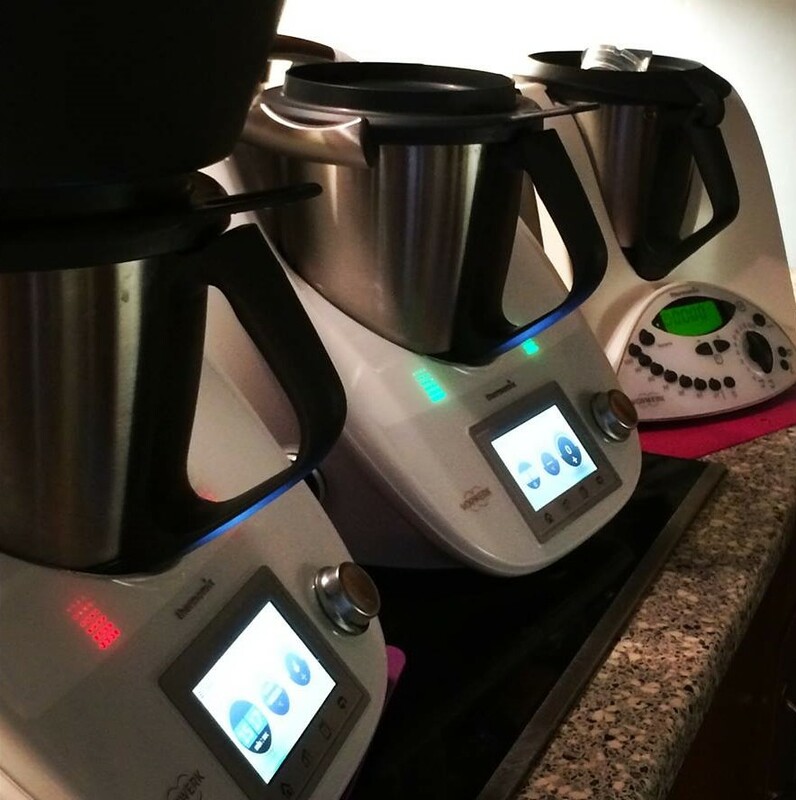 Tip the dough out on to a clean work surface and press all over with your fingertips to deflate. Roll out to a rectangle approx’ 50cm x 20cm. Dot 1/3 of the remaining lard and 1/3 of the butter over the surface. Sprinkle over 1/3 of the soft brown sugar, then scatter over 1/3 of the fruit. Fold the top third of the dough downwards, then fold the bottom third upwards, stretching it slightly so the dough is folded with three layers into a square. Now give it a quarter-turn i.e. turn your dough through 90o . Roll out the dough into a rectangle , approx’ 50cm x 20cm. Layer on another third of the filling and then fold and turn as above; now repeat once more. Line and grease a 23cm square cake tin. Roll out the dough to a size that will fit comfortably in your prepared cake tin and carefully lift it in. Place the tin inside a plastic bag and leave to prove for 30 minutes. While your dough is proving, pre-heat your oven to 200-220o C, depending on your oven. Bake your Lardy Cake for 30 – 35 minutes until golden brown. Leave to cool for a while in the tin. After approx’ half an hour, turn out onto a board. Cut into squares and serve warm or cold with a nice cup of tea! Don’t forget that lard is pork fat and as such, certain cultures and religions are not permitted to eat pork products i.e. Jewish, Sikh, Hindu and Muslim. The high-fat content of the cake means they will stay moist for longer than traditional cakes, but it is best to keep them in airtight containers. 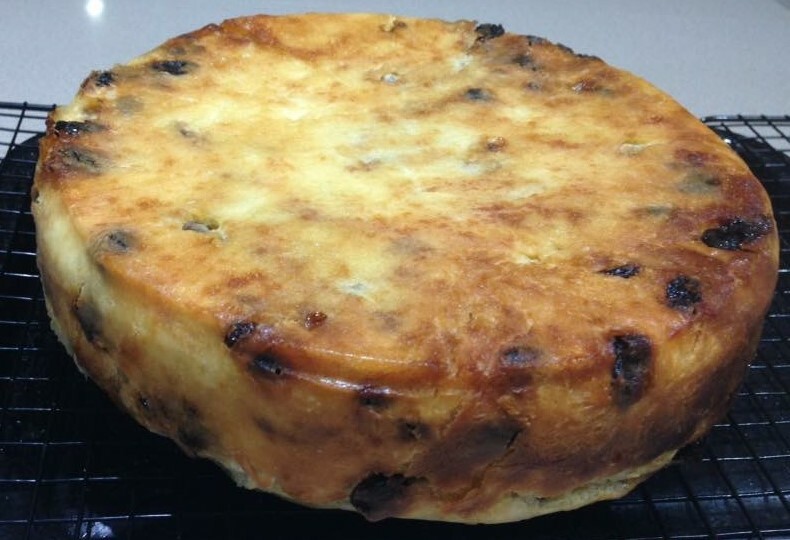 A variation of the lardy cake is the dripping cake mentioned by Mrs. Beeton, which is made with beef dripping. If you have any doubts about this peasant food, Wikipedia claims that it has appeared on the tables at royal garden parties – served warm or cold, it is sweet, filling and delicious. When I was very young and we used to live in Lancashire, my gran would always have a bowl of dripping in her larder – not many folk had fridges in those early post-war days!!! !